Browse our extensive library of Tigercat videos here at Tigercat TV. Watch Tigercat logging equipment, land clearing machines, road trenchers and other industrial applications in real life operations. Make sure to click the HD icon to watch in full 1080p resolution. Some videos are available with multi-language subtitles. Click the CC button at the bottom right of the screen to find out. 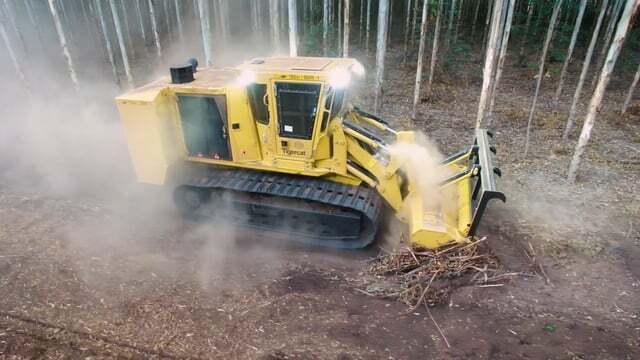 Watch Tigercat mulchers in action. Right-of-way, vegetation management and commercial land clearing applications. Tigercat mulches are working in oil and gas, the utilities sector, in silviculture, land improvement, site development and the construction industry. See it all on Tigercat TV.